He graduated from KEMC, Lahore in 1982, and completed FCPS in 1987. He joined as Assistant Professor at Rawalpindi Medical College in 1987, promoted as Associate Professor in 1993 and Professor in 2004. He has been awarded FRCP from Royal College of London, Edinburgh, Ireland, and Glasgow. He was elected as Faculty Member of Medicine of CPSP in 2004 and Councillor in 2007. Since then, he is serving CPSP as Regional Director, Islamabad, and enhanced the CPSP stature, both nationally and internationally. He has special interest in Gastroenterology and Hepatology and has 25 publications to his credit. 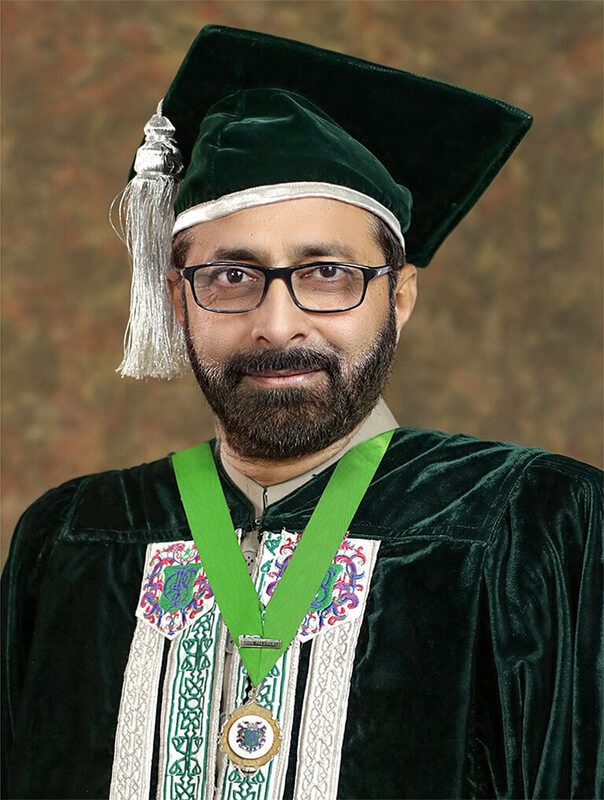 He has been Vice President of Pakistan Society of Gastroenterology and G.I. Endoscopy; and instrumental in arranging training slots for fellows in different hospitals in UK and Ireland. In recognition of his efforts, SCHS (Saudi Council for Health Specialties) has accepted Consultant status to fellows of CPSP with three years experience. He wants to establish Family Medicine in Pakistan and arrange opportunities for fellows to be trained in Australia.